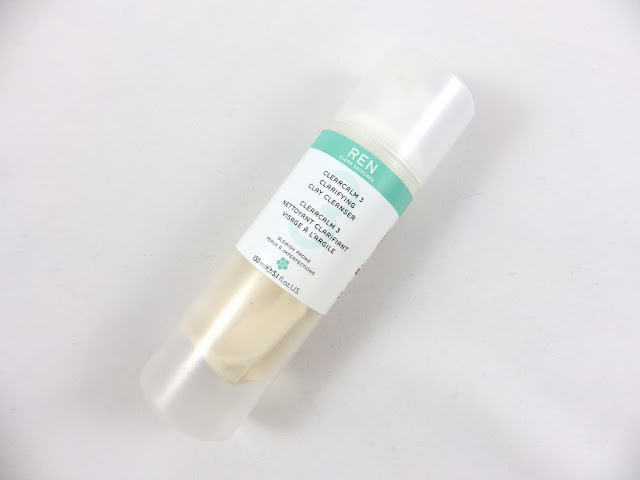 I really like clay cleansers, so when I decided to move on from my usual Dermalogica Dermal Clay Cleanser, which was regularly increasing in price, I quickly gravitated towards REN's offering. The REN ClearCalm 3 Clarifying Clay Cleanser (try saying that quickly!) is part of a larger ClearCalm 3 range, which is designed for blemish prone skin that aims to combat the 3 key causes of blemishes and breakouts without harshness - excess sebum, build up of dead skin cells and blemish causing bacteria. The bottle I currently have and seen in the photos is 150ml in size, however REN have now increased it to 200ml as standard for the same price of £18.00. It comes with a very controllable pump dispenser and I like the clear bottle so you can see how much product you have left! The REN ClearCalm 3 Clarifying Clay Cleanser uses bio extracts of French Clay, Zinc Gluconate, Salicilin, Mayblossom and Manuka Extract to deeply cleanse and purify the skin, gently exfoliate to unclog skin and minimise the appearance of pore size. REN as a brand do not use parabens, sulfates, mineral oils, petrolatum, synthetic fragrances or colours. The formula I absolutely love, it's very creamy, quite thick and it lasts for ages when you're massaging it into your face; it doesn't disappear or dry out quickly, so you can give your skin a thorough cleanse. It doesn't irritate or feel harsh on my oily/combination skin either; it removes excess oil yet it's probably the most hydrating clay cleanser I've tried, so it gives me a good base to carry on with the rest of my skincare routine. This isn't a cleanser for removing makeup, so I'd recommend using it for a second nighttime cleanse or as a morning cleanse. I'd also recommend removing it with a face cloth; it's so thick that just splashing water on your face really doesn't remove it all properly. When it comes to breakouts however, I personally haven't noticed a major difference. I've been using the Clarifying Clay Cleanser for nearly four months and through this time I've had bouts of clear skin, skin with a few little breakouts and then really awful, mountainous type breakouts. But the thing is I'm not really disappointed. I think there's only so much a cleanser can do when it's on your face for a few minutes and then washed off. Its effects aren't going to last through the day or night until the next cleanse, especially when there's so many other factors that can affect your skin in between, such as the number of other products that will be layered on afterwards! It may be that you see better effects when used with other products from the ClearCalm 3 range. What I would say is that the formula is very soothing and calming on spots and blemishes, not aggravating them at all. 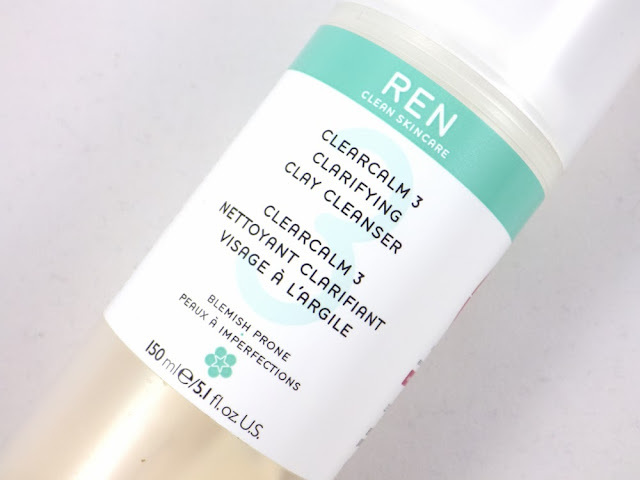 The REN ClearCalm 3 Clarifying Clay Cleanser is a pleasure to use, as I love the creamy clay formula that doesn't contain any nasty ingredients to irritate or dry out my skin. If you're really breakout prone don't expect miracles from this cleanser, but it's a great product to start off the rest of a targeted skincare routine. I will re-purchase. To view on the REN website, please click here. 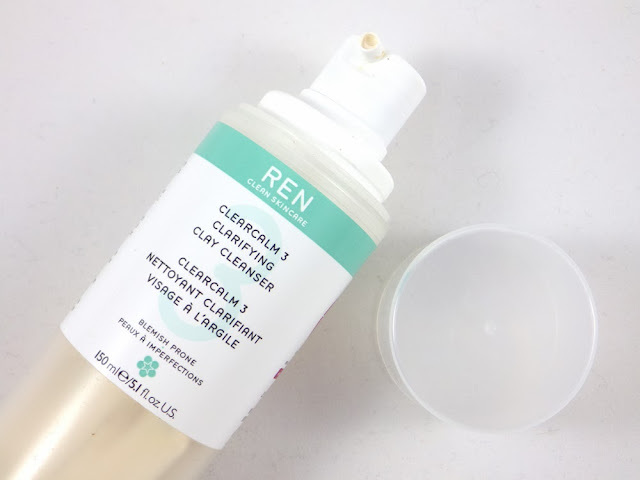 Have you tried the REN ClearCalm 3 Clarifying Clay Cleanser? Are you a fan of clay based cleansers? I love a clay based product, this sounds lovely and great pics! Happy new year missus! This sounds and looks lovely, you're right, you cannot say 'ClearCalm 3 Clarifying Clay Cleanser' quickly haha! I agree - I think diet and lifestyle play a much bigger part in how your skin looks than products do. As long as the product isn't irritating your skin, and keeping it in a good condition (not too dry or oily) I reckon the rest is up to you! I agree with you, there is only so much a cleanser can do. I think it's all about the routine after cleansing that contributes to the appearance of your skin. Great review. Great post, I really want to try REN Products! Ooh I have wanted to try this as heard quite good things, great review hun! I am yet to try REN products but definitely want to, may have to look at this in the near future.